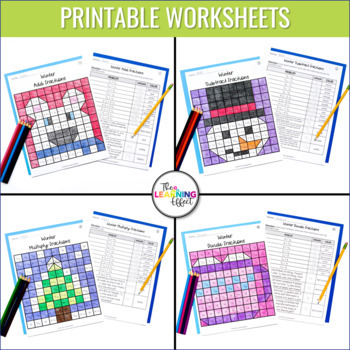 Students can practice math skills in a fun, engaging way with solve and color worksheets. Perfect for the winter months, Christmas, New Years, or enrichment. 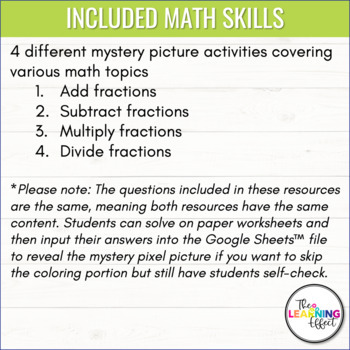 There are 4 different solve and color activities included in this resource, along with answer keys. Each activity covers one of the topics listed below. 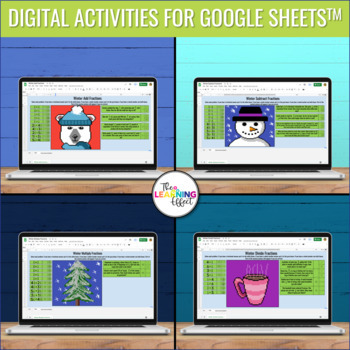 Worksheets are numbered for easy matching if you decide to use them all at once in your classroom. Answer keys include both how sheets should be colored and answers to the math problems. Students will need coloring tools (such as markers, colored pencils, or crayons), a pencil, and a copy of both the problem solving and color by number worksheet. 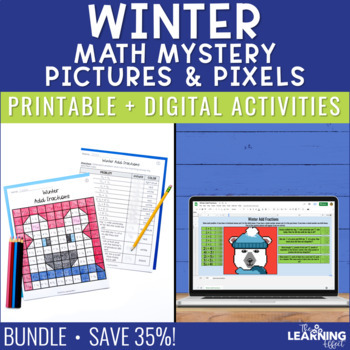 Save 25% by purchasing this resource in a bundle of Seasonal Math Mystery Pictures. This resource is a PDF file and is not editable in any way. You will not be able to manipulate the content inside. CLICK HERE to follow The Learning Effect and be the first to know when new products are added to my store! New products are always 50% off for the first 48 hours they are posted. Permission to copy for single classroom use only. If using with multiple classrooms, please purchase additional licenses at the discounted rate.